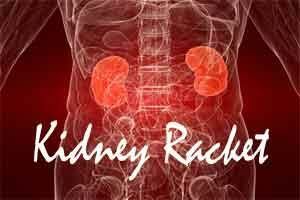 Hyderabad: An international kidney racket has been busted with the arrest of 3 people who allegedly lured a 33-year-old man from Hyderabad and got his kidney removed in Turkey after promising to pay Rs 20 lakh. Amrish Prathap identified as the kingpin of the crime, and his two accomplices, Sandeep Kumar alias Rohan Malik and a 37-year-old woman, were arrested from Delhi and produced before a court there and brought to Hyderabad on a transit remand, Rachakonda Police Commissioner Mahesh M Bhagwat told reporters. He met the accused and attended all the required medical examinations including a cross-match test with the patient, police said. They informed Rachakonda police, who based on his information, arrested two of his accomplices in Delhi, the commissioner added.